You are here: Home / Product Reviews / Babies & Kids / LittleEcoFootprint: Unboxing May’s Mother’s Day Box, It Will Help You Relax, Indulge and Celebrate YOU, You Deserve It! The Month of May was all about YOU. Yes, you, the mother’ that make it all possible. 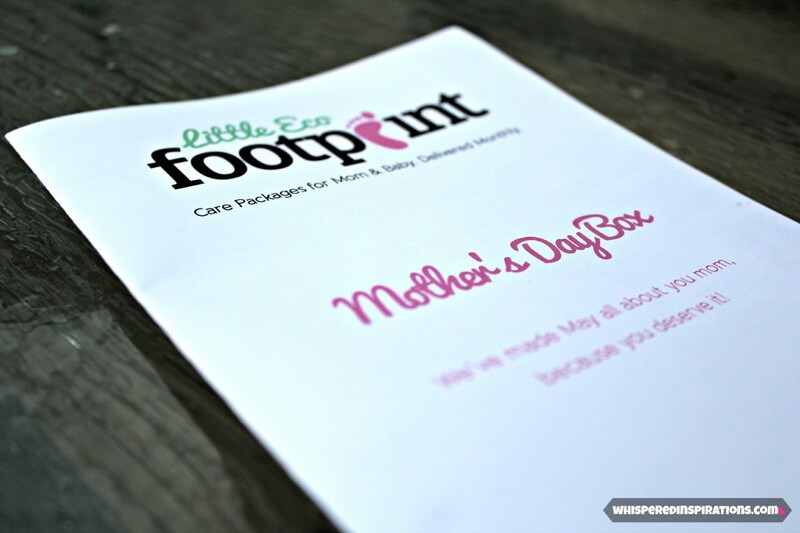 LittleEcoFootprint sure treated all Mommies to a most excellent and special Baby Box for Mother’s Day! It was very thoughtful and big ups to all the box sponsors and LEF of course! 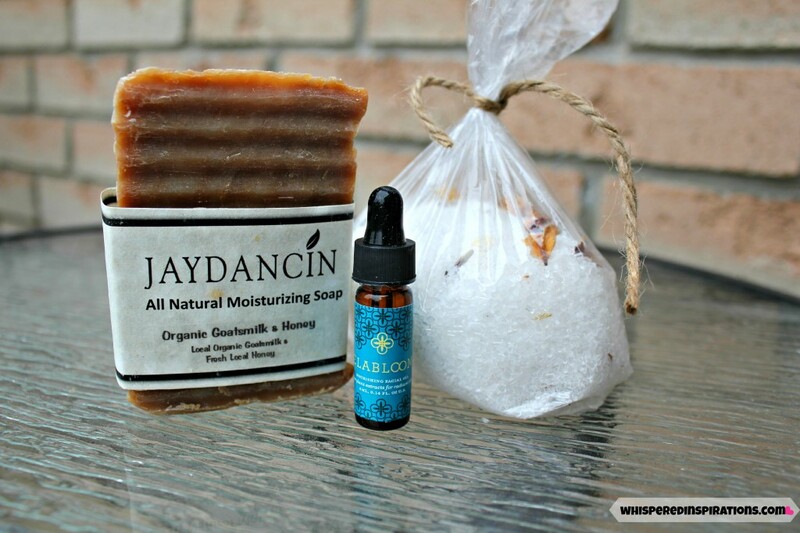 With Jaydancin‘ you can be sure that you are treating your skin and giving it the love it deserves. It’s made with the finest organic organic ingredients and essential oils, while remaining free of parabens, synthetic preservatives, petrochemicals and other harmful or toxic ingredients. It works so well on my skin and though I prefer soaps with a bit more of a scent, this bar was lovely. My heart rests easy knowing that it’s good for me and my babies and that’s what matters the most. Elabloom is pretty amazing, Elabloom’s Face and Body Oils are formulated from 100% pure plant extracts that nourish, hydrate, heal and repair a women’s skin. As a Mom, don’t we all just want that healthy glow? This serum will help diminish fine lines and it smells great, I’ve used it and it’s done wonders. Bare Organics will help you soak in all types of organic awesome. You can be sure that Bare Organics only makes products with ingredients you can recognize and even most that you can eat! Pure and safe, nothing else. I haven’t yet used this but, the next time that I take a dip in a tub I will be sure to bring this. The smell is different but, you can definitely smell how down to earth it is and “real” and I can’t wait to use this. Kosuma was a sweet surprise. I love energy bars and often make my own because they are delish and pack a nutritious punch. This bar was not short of deliciousness and nutrition. Kosuma is based in London, Ontario and specializes in a unique line of natural whole food energy bars that aim to enliven, nourish and power the body. Kosuma’s mission is to promote healthy eating and wellness through high quality nutrient-dense convenience food bars. My mother gave me the moon… the stars…her time and attention… and all the love her heart could hold. This heartfelt gift book from watercolor artist Becky Kelly captures the beautiful moments of motherhood with tender words and evocative artwork. 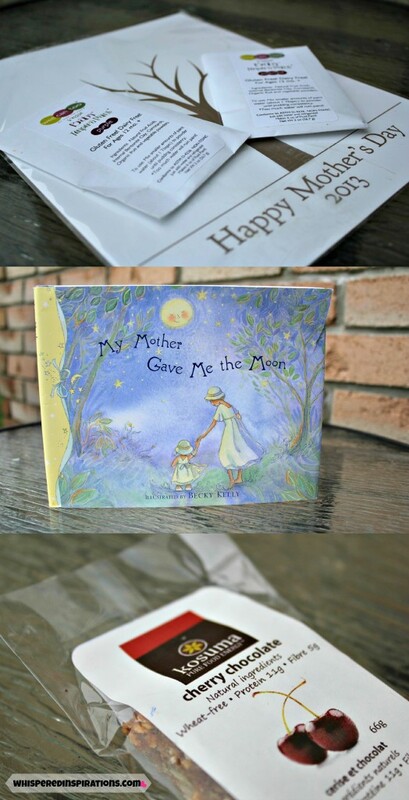 Coolest Mommy and Me Activity. Wee Can Too is one of the coolest companies I have heard of. We got two samples of fruit and veggie powdered paints that are completely safe for kids. Mimi and I had a blast and we would definitely use this brand again. The next box ships on June 17th, 2013, have you subscribed yet? This box was a treat and I cannot wait for the next one. I can only imagine what is in the works. Nice 🙂 I was unaware of this company. I can just imagine how good that goats milk and honey soap smells… and feels. Yum! 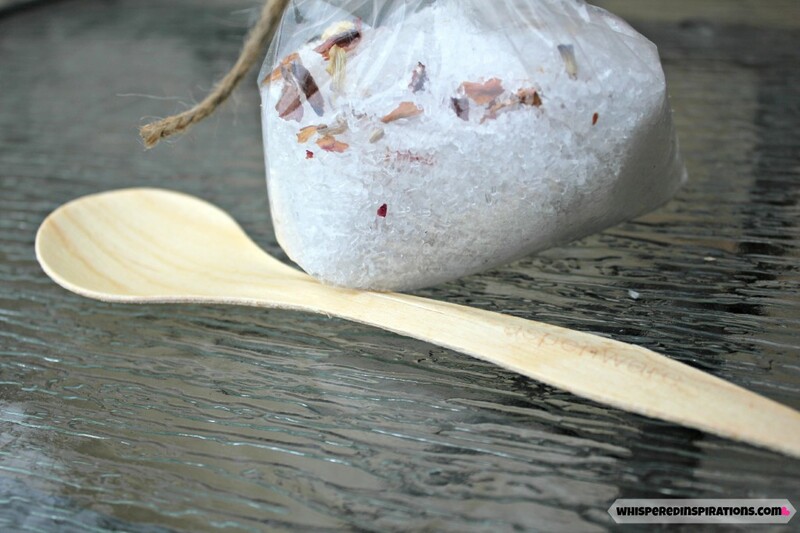 I love fancy, natural soaps! It was totally the first thing that caught my eye! I didn't realize that these packages where for more than just new babies and their Mommas! This is a super cute idea. Would be great for any new mother. What a fun box of goodies! Its like getting a swag bag every month! Say what? Kosuma is based in London? I did not know that. That is an awesome package you got there. I love the look of that soak and could use some anytime now. That looked like a great box. Leaving less of a footprint is so awesome. I love it, all the ingredients to indulge.